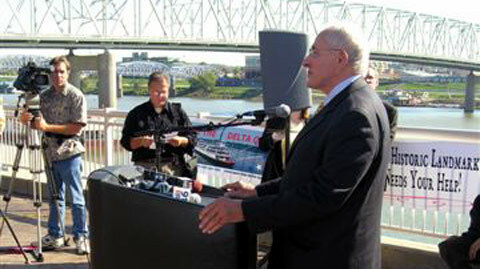 Below are some pictures from the Save the Delta Queen press conference on Friday. Thanks to Tom Schiffer for the pictures! 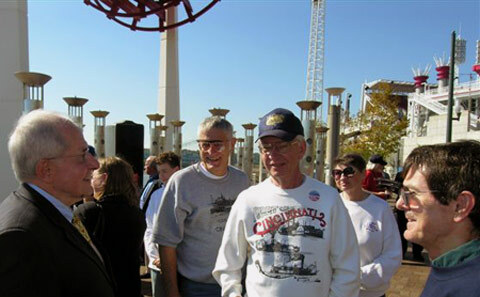 The local ABC news station, WCPO, has a video about the press conference on its website. And Sentimental Productions, too, posted a video clip regarding the press conference by Congressman Steve Chabot concerning the bill to Save The Delta Queen.